It’s been very hot in London recently, and there’s no better breakfast on a sunny day than a refreshing smoothie bowl. This time I went for a spirulina smoothie bowl. Just blend frozen bananas, soy milk, spirulina, and a little vanilla extract. 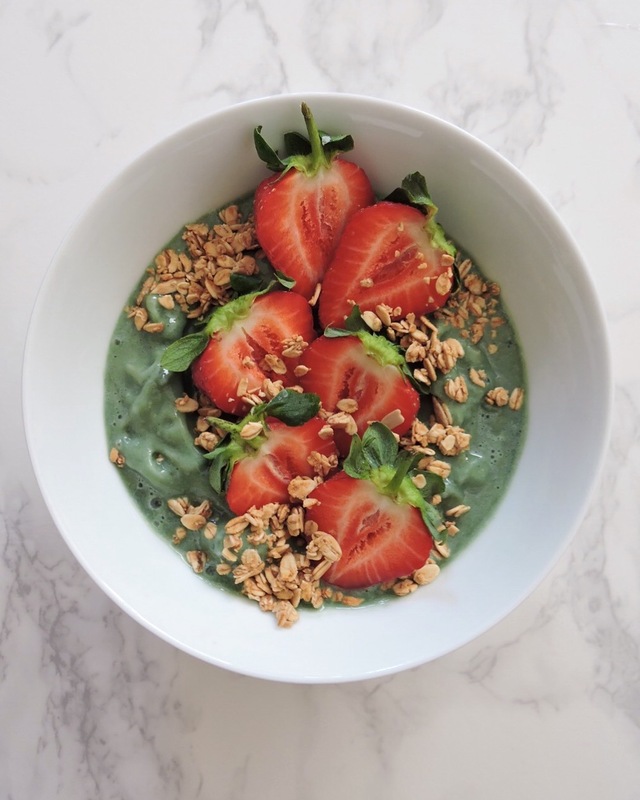 Topped with strawberries and granola, this was one delicious and filling breakfast. I’ve been loving my coffee lately. 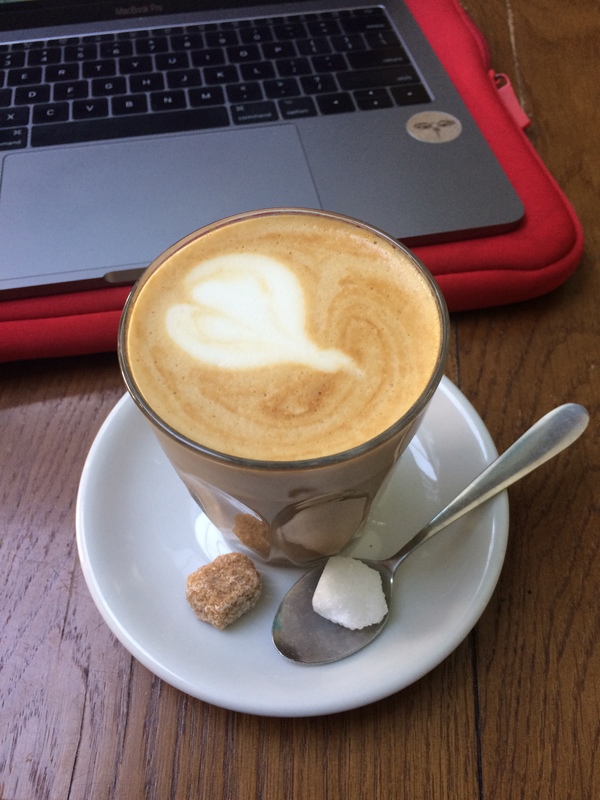 If you have been here for a while, you’ll know that I actually quit drinking coffee a little while back (read about that here); however, I have been enjoying coffee as part of my daily routine again. I’ll write a proper post about my reasons behind this sometime soon. At the moment, I work from home a few times a week, and I love going to a nice coffee shop to get my work done on those days. A soy latte is my standard order! I know this is nothing original, but I still love avocado toast. 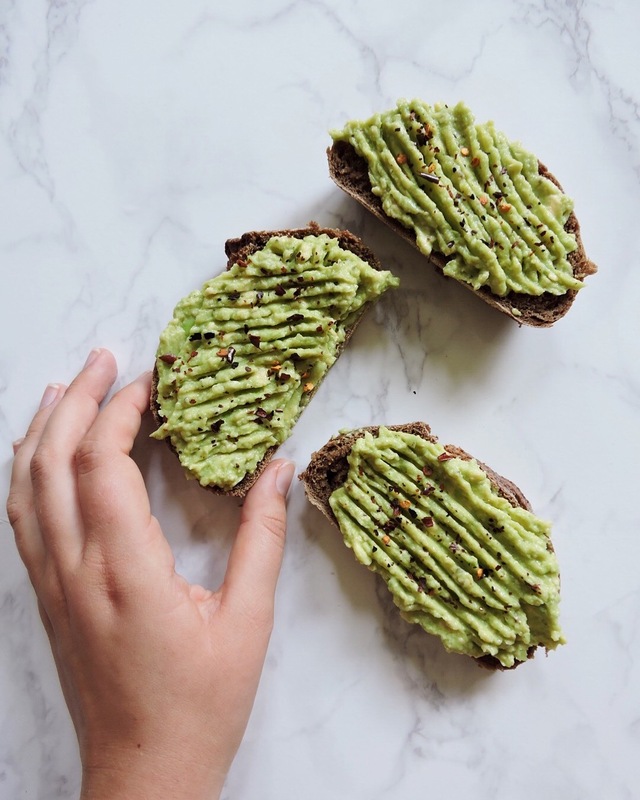 I’ve recently been obsessed with a kalamata olive sourdough bread from Sainsbury’s and let me tell you, topped with avocado, it’s a match made in heaven. I mash my avocado with a little bit of olive oil, lemon juice, salt, pepper and chipotle chilli flakes. 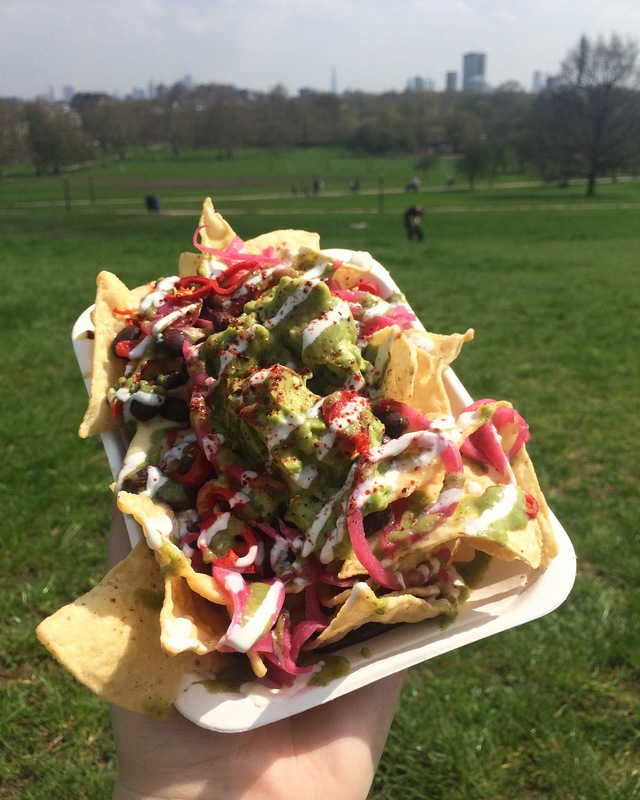 I live quite close to Camden Market, and so sometimes I can’t resist grabbing some epic vegan food from the market and devouring it on Primrose Hill with some friends. These are nachos from Club Mexicana, and they are so delicious. Eating these bad boys in the sun, enjoying the view of London; it doesn’t get much better than that. I hope you enjoyed this post! I would love to know; which foods have you been loving this summer? Let me know in the comments.